The Iranian plateau was settled about 1500BC by Aryan tribes, the most important of which were the Medes, who occupied the northwestern portion. And the Persians, who emigrated from Parsua, a land west of Lake Urmia, into the southern region of the plateau, which they named Parsamash or Parsumash. The Medes were actually the first of these nomadic peoples to establish an empire when they joined forces with Babylon to overthrow the Assyrian Empire in 6l2 B.C.E. The first prominent leader of the Persians was the warrior chief Hakhamanish, or Achaemenes, who lived about 681BC. In the aftermath, Babylon took the richer civilized lands of the Fertile Crescent, while the Medes took the more extensive but wilder lands to the north. Among their subjects were their compatriots, the Persians. Cyrus first turned westward against Croesus, king of Lydia in Asia Minor, a land renown for its wealth, as seen in the old saying “rich as Croesus” to denote how wealthy someone is. In order to deal with the tough Lydian cavalry, Cyrus placed camels in front of his lines. In his twenty-nine year reign, he had built the largest empire in history up to that time. 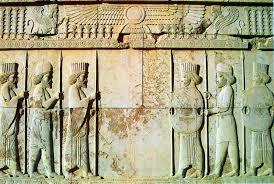 Although Cyrus had founded the Persian Empire, Darius I (522-486 B.C.E.) gave it the internal organization and structure that allowed it to last for 200 years. His accomplishment is all the more impressive when we consider the empire’s enormous size. The scale of which no one had ever dealt with before. 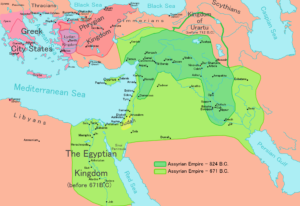 Although built upon the Assyrian model, the Persian administrative system was far more efficient and humane. The empire was divided into twenty provinces, or satrapies, each ruled by a governor called a strap. To check the straps, a secretary and a military official representing the “Great King, King of Kings” were installed in every province. Also, special inspectors, “the Eyes and Ears of the King,” traveled throughout the realm. 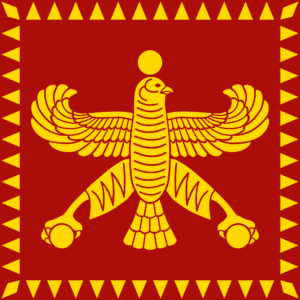 In 521 BC the Persian king Darius I crushed all resistance to his accession to the throne after a brief but bloody civil war. While playing a central role in reorganizing the empire, he also worked to secure and expand its outer borders. In 513 BC the Persians captured the major Greek islands of Khíos, Sámos, and Lésvos.